Which Games Would Appear on a SEGA Dreamcast Mini? Speculation time! The NES Classics and Super Nintendo Classic were undeniable hits in the gaming world, no matter how difficult they ultimately proved to obtain. All of us born into the Golden Age of Video Games of the 80s and raised in the magical 90s now wait to see if Sony can capitalize on its own nostalgia in the same way Nintendo did with the PlayStation Classic coming out this year. Rumblings of an inevitable N64 Classic also reverberating throughout the gaming world have pushed yet another huge player in the gaming world of the 1990s into the backs of our minds: SEGA. The long desired SEGA Genesis Mini has been put on the back-burner for the time being due to quality concerns, and while we love the Genesis around here, today, we’re focusing on another beloved console that closed out gaming’s classic era. The SEGA Dreamcast. Of course, most of the console’s biggest and best games can be purchased through digital means on any and all platforms nowadays, but so can the NES’, Super Nintendo’s, SEGA Genesis’, and PlayStation’s. That didn’t stop Sony and Nintendo from producing their emulation consoles. We tried our best to narrow it down to a smaller number, but once we started considering peripherals (given how easily they can be utilized or replicated with USB technology nowadays) all bets were off the table. 25 games! We did it! Let us know what we forgot in the comments. These are the best games on the Dreamcast, the games everyone wants to revisit and the classics that still reverberate with fans to this very day. The Dreamcast’s premiere video game. SoulCalibur was a graphical powerhouse back in 1999, a jaw-dropping, awe-inspiring combination of how technology and art would be combined for the years to come. While this might no longer be the case for SoulCalibur, it’s still an excellent fighting game with well-balanced characters, deep mechanics, and a certain “flow” that can’t be found even in modern day fighting games. The impact of this game on the video game industry can’t be understated, and it’s just as iconic to the Dreamcast’s legacy as any SEGA game. The Dreamcast was a console most beloved for its light, fun, and addicting arcade style games. On the front of long adventures and deep RPGs, it holds only a few beloved titles, and Skies of Arcadia is the undeniable winner of this category. Vyse and his travels through the aerial continents remain fan-favorites of JRPG fans nearly two decades later as a prime example of the genre at the time. Skies of Arcadia exudes the trends and graphical style of the late 90s and early 2000s with a deep twist on the classic JRPG battle system and a huge leap over the graphical standards of the PlayStation era. And yet, Skies of Arcadia also feels like a grand old soul, like it belongs among the ranks of the greats that proceeded it. It’s also worth pointing out that Skies of Arcadia has not been re-released since 2003 on the GameCube. Time feels right for this retro favorite to see the light of day again. The cel-shaded skating and graffiti game still feels great to this very day, and there is nothing quite like it on the market. 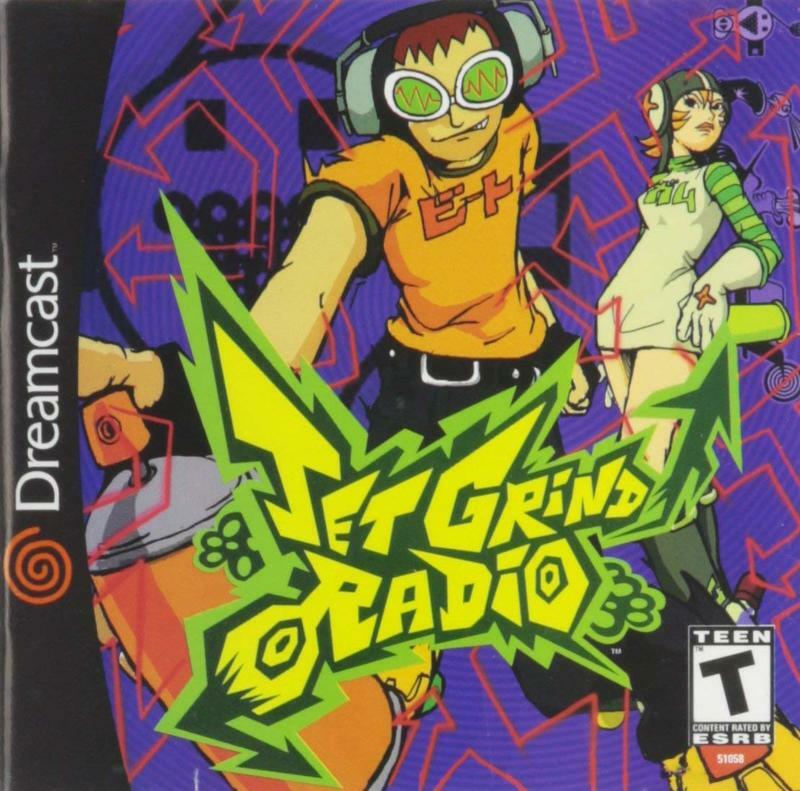 Jet Grind Radio was ahead of its time and feels like a game you would find on today’s market… a semi-open world setting, off-beat graphics, and a quirky soundtrack. Sure, it’s available on every platform under the sun now, so young gamers have all the opportunity in the world to discover it on its own. 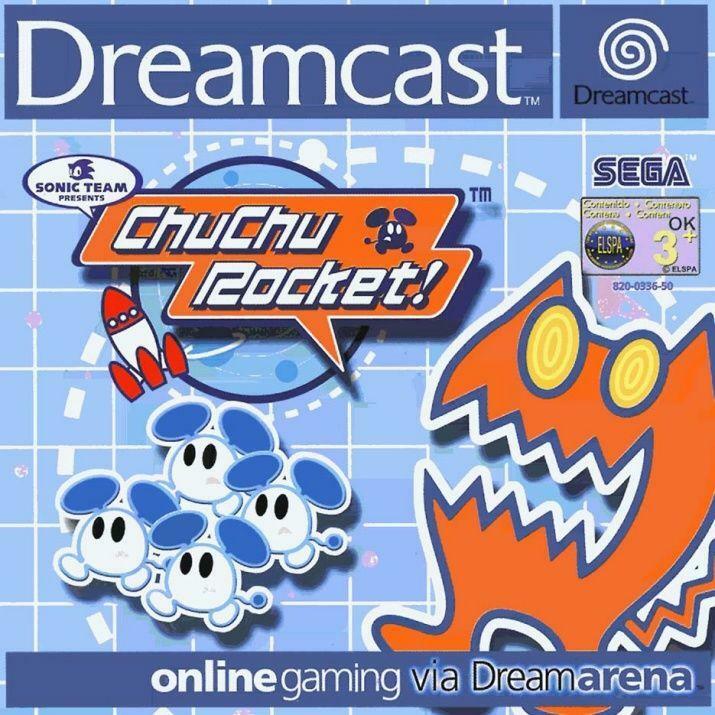 But what would a Dreamcast Mini be without it, one of its most important and defining titles. One of the Dreamcast’s most endearing titles still sees releases today, most recently on the PlayStation 4 and PSVR. Back in the day, this revolutionary rail shooter/rhythm game hybrid never came to the United States on its home console, only making its way to the PlayStation 2 a few years later. This must be rectified! 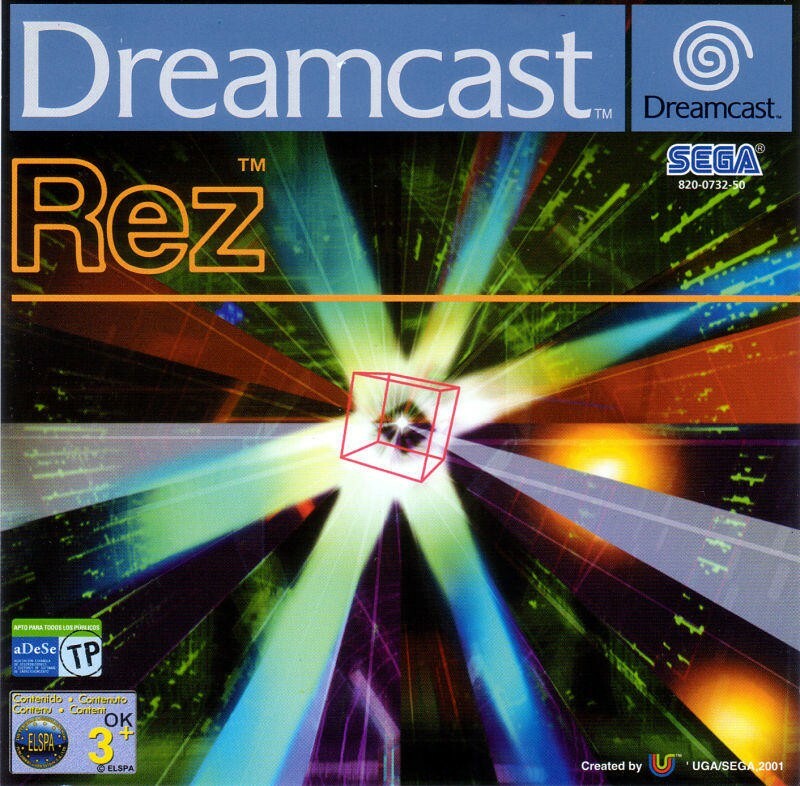 Dreamcast fans, especially those who only recently played this game, must know where Rez’s humble beginnings come from. Another classic that came to North America on a rival console, in this case, the GameCube. Ikaruga also sees play today on modern consoles and with a much-appreciated HD makeover. However, the Dreamcast is where this smart SHMUP hails from first and foremost, and a mini-Dreamcast is the best way to remind gamers of that fact. Plus, Ikaruga is also routinely cited as one of the greatest games the genre has ever produced, and with good reason. It’s bullet-flipping mechanic, in which bullets of the same color charge its power instead of harming it, has been used in plenty of indie games, and plenty of designers, most notably NieR Automata producer Yoko Taro, cite its style as an influence on theirs. 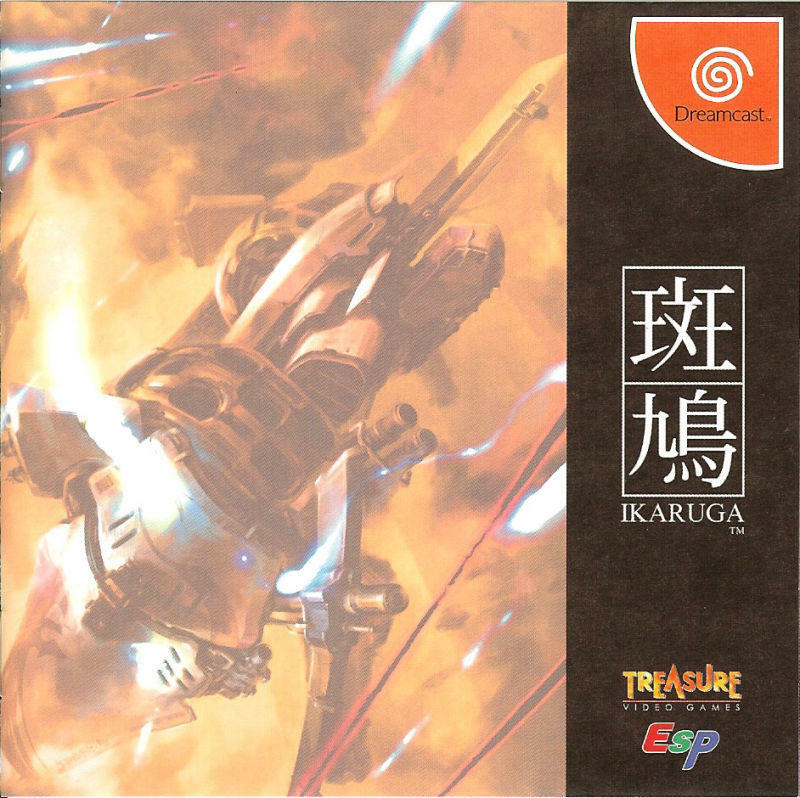 Ikaruga is easily one of the Dreamcast’s most unsung influential titles. The rhythm genre has taken leaps and bounds since the turn of the millennium, but some of the earliest favorites are still a joy to slip back into. 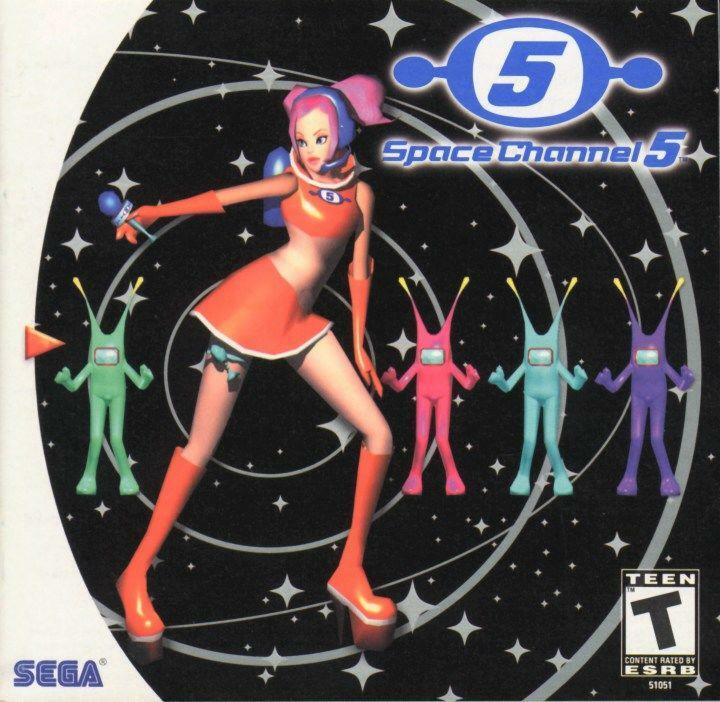 Space Channel 5 is among these early alumni games that helped establish an entire genre, and it … hasn’t lost a beat… over the last few decades. We’ll drop this one here. 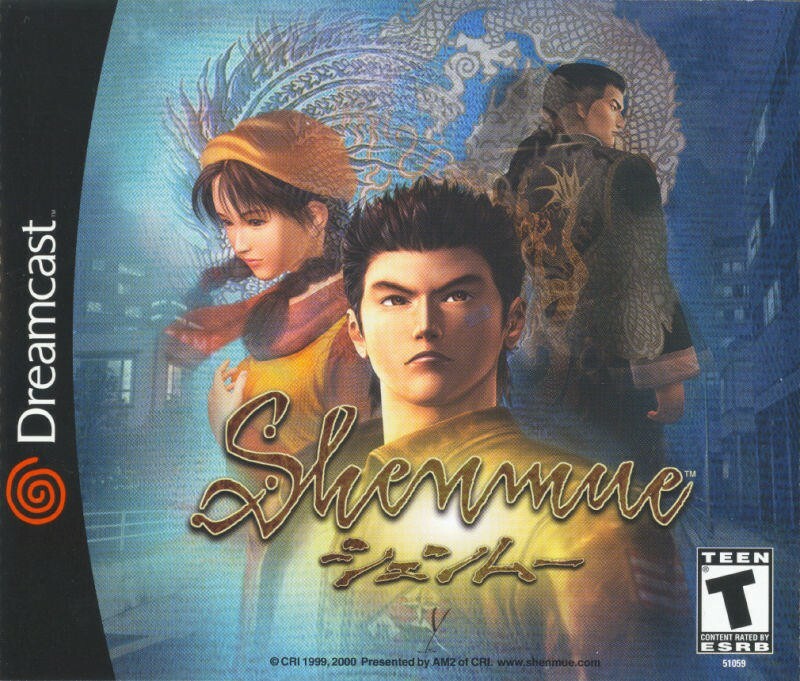 As complex and polarizing as the Shenmue series’ legacy is, none can deny that it had a profound effect on both how we viewed the console and how SEGA’s own destiny eventually unfolded. On its own, Shenmue is still a decent game for those looking for a slow-paced epic… part-time job simulator… a friendly, neighborhood conversation simulator… a “walk through 1980’s Japan” simulator. Yeah, this game requires a certain taste to truly enjoy anymore, so we can’t unequivocally call it one of the console’s best. But still, we love this game even if we don’t always love playing it. Chu Chu Rocket is akin to the kind of puzzle game you’d find on the indie market nowadays. SEGA created it as a throwback to the arcade puzzle games that originally made the company popular, and in creating something that both looked retro and played well on a modern console means it was ahead of its time. 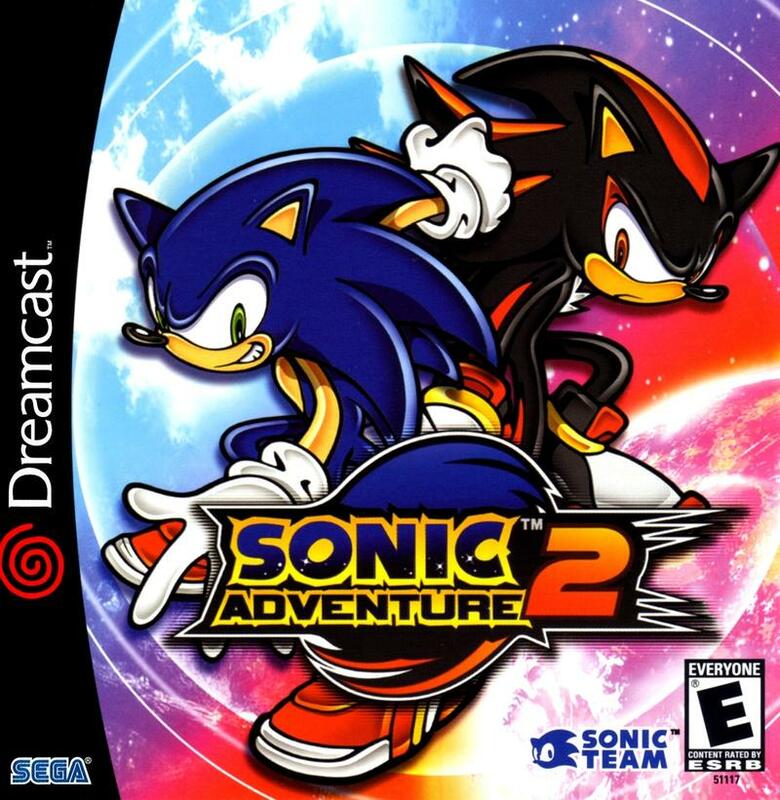 In the modern era, it’s still very playable and enjoyable as one of SEGA’s most original titles on the console. It still feels just as retro and just as classic as it did twenty years ago. The only question is wondering if a mini-Dreamcast would have a modem to take it online. 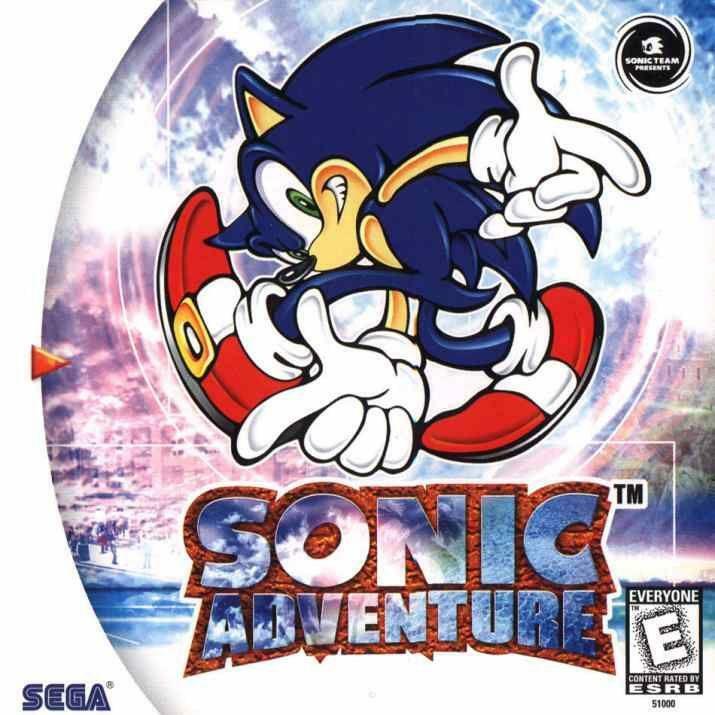 The original Sonic Adventure, for all of its quirks and poor design decisions, is still one of the best 3D SOnic the Hedgehog games out there. 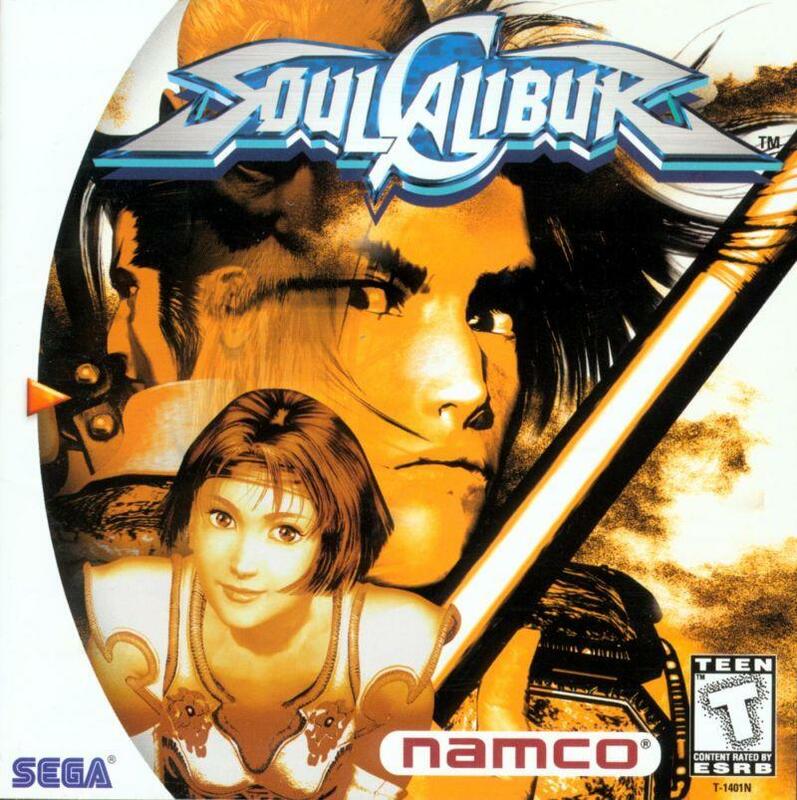 Very few games are as iconic to the console as this game, and that opening level set the stage for the Dreamcast even more so than SoulCalibur did. Hope you’re ready, this game would definitely be on there. 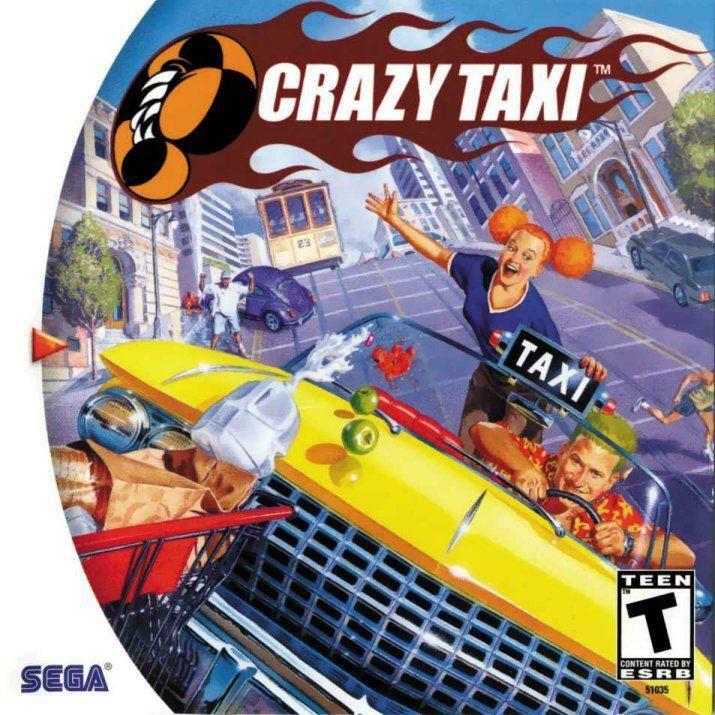 Please, how could Crazy Taxi go unrepresented? Music licenses maybe, but come on. How is this game any different from Altered Beast and Golen Axe at this point? It appears on anything and everything Dreamcast related, and SEGA pushes it more than almost any other of its IPs from the era. Few third-party companies supported the SEGA Dreamcast in the same way that Capcom did. Since the publisher has contributed to previous classic consoles with some of its all-time bests and has more games on the Dreamcast than most of its peers, it gets its own category! 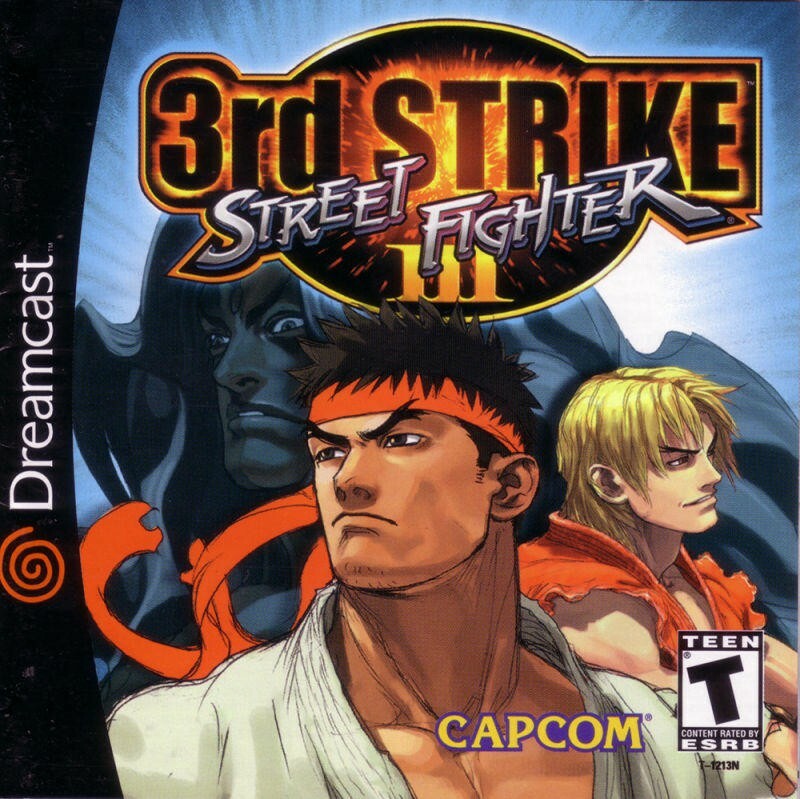 While it might not be the case anymore, for nearly a decade and a half, the final iteration of Street Fighter III held the reputation as one of the deepest and most technical fighting games of all time. For years, the Dreamcast held the only home console port of the game, sending it into the hundreds of dollars on secondhand markets. Nowadays, it can be downloaded quite easily on any number of consoles, but that shouldn’t stop it from being included as one of the Dreamcast’s most important, sought-after, and not to forget best games. 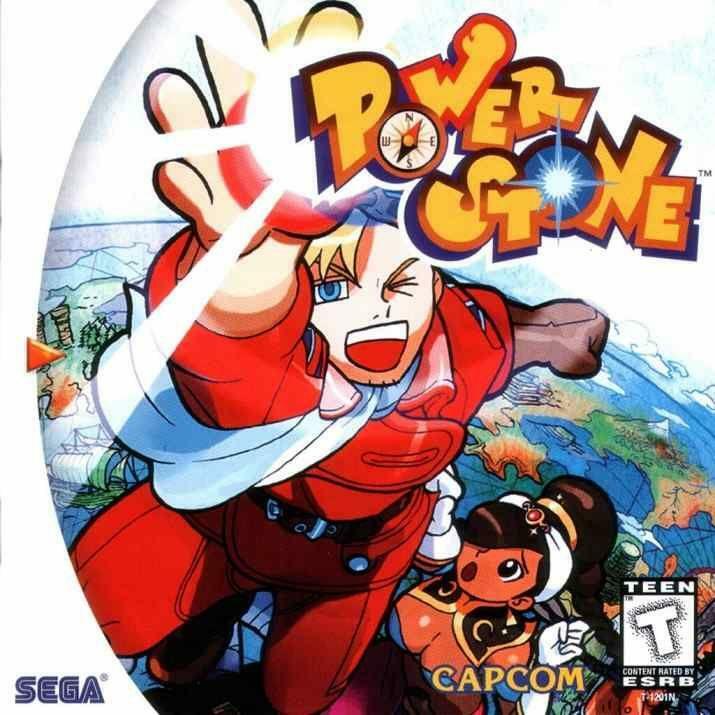 Capcom’s most original, memorable, and beloved contribution to the SEGA Dreamcast comes in the form of this short-lived series. 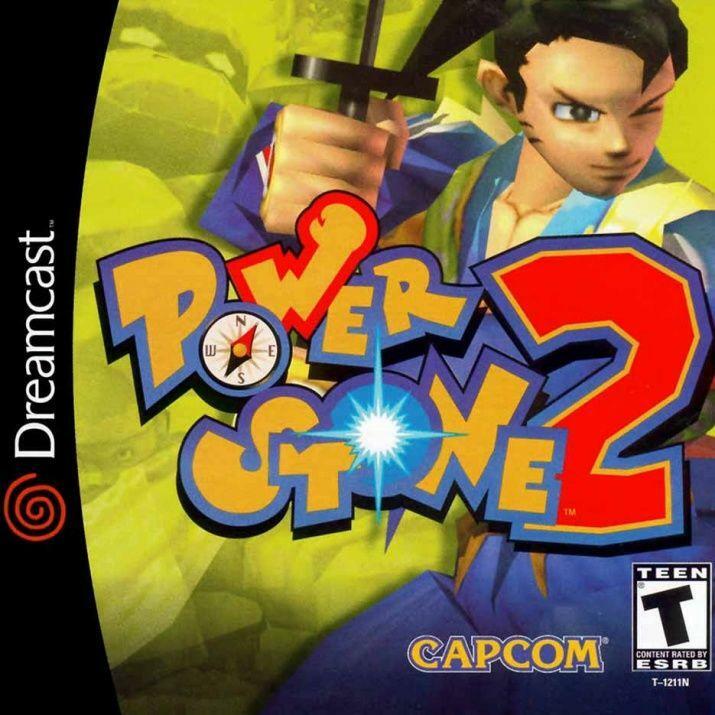 The Power Stone games are more like arena fighters, laid out on an isometric 3D screen and making heavy use of power-ups and other items. It’s not that far removed from a 3D Super Smash Bros.
Granted, the limited space of a mini-console means we’re likely to only get one, and in that case, we’ll take the super second game over the iconic first game. 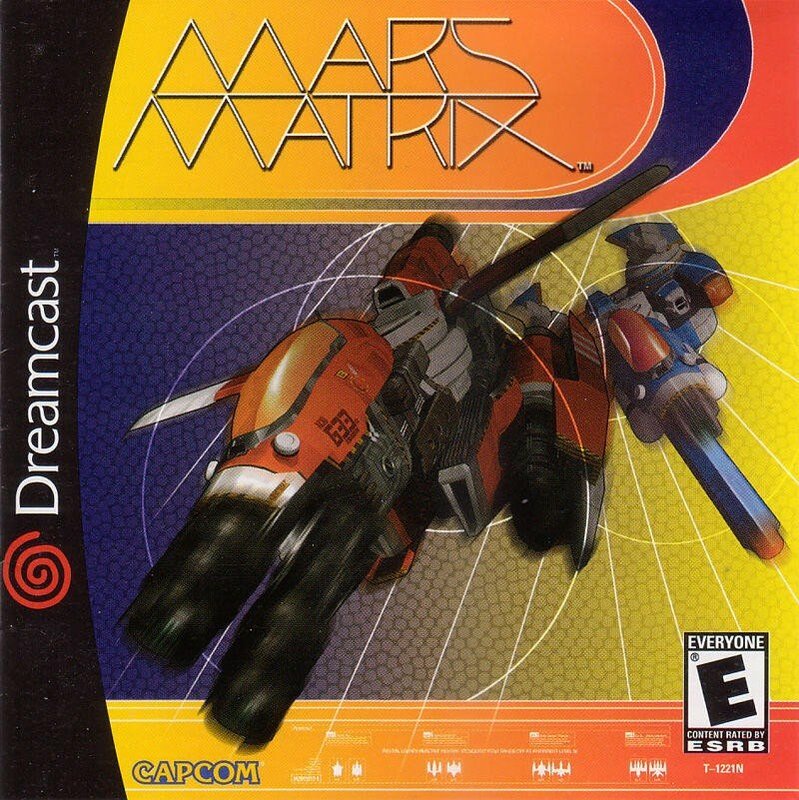 Lesser known than Capcom’s other games for the console, Mars Matrix comes up as a close second to Ikaruga as one of the console’s absolute best SHMUPS. Unlike Ikaruga though, this one places a higher emphasis on straight shooting as a much more basic and yet much more intense shooter. By 2001, the sports genre had already taken the video gaming world by storm and contributed greatly to the Dreamcast’s success. It would be impossible to ignore some of these titles, but at the same time, we have to in a few cases SEGA no longer has the rights to publish certain sporting franchises, like its iconic NFL2K games. It’s hard to believe that a tennis game turned out to be one of the Dreamcast’s most highly regarded titles, but that simply turned out to be the case. 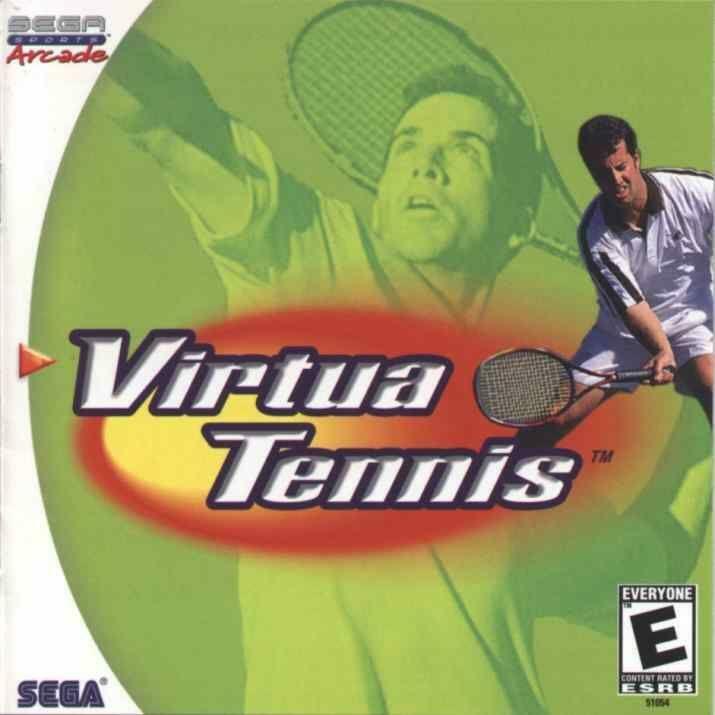 Virtua Tennis was hailed upon release, praised for a perfect blend of arcade simplicity and all of the technical aspects of the sport. At the time, it was seen as the best Pong game since Pong itself. Today, it’s a simple in what it offers, but it remains a must of any Dreamcast owner’s collection. The Dreamcast comes loaded with great racing games, so many that SEGA would likely have to pick and choose? Why bother shelling out money for licensing to a third-party when it can choose one of its own, though? 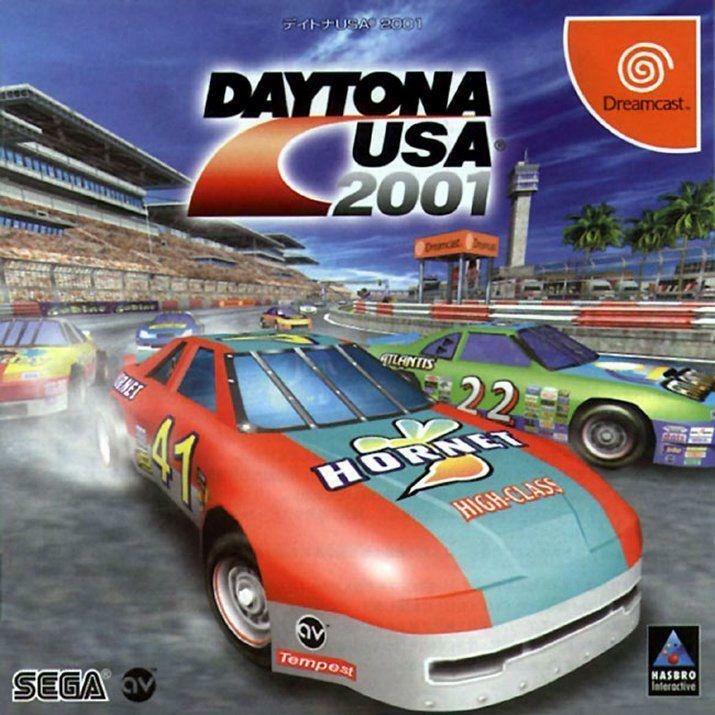 The Daytona series is well-loved among arcade racing enthusiasts, both for its simplistically fun driving and its over the top music. Come on, everyone! You know the words! The Dreamcast is just as revered for its peripherals as it is for its games, and any mini-console that doesn’t allow for some form of USB conversion with the old add-ons would clearly miss the entire point. We’ll include these believing that SEGA makes the right choice and adds on an option for retro Dreamcast nonsense. Rock on! Grab your fishing controllers because we’re going bass fishing! 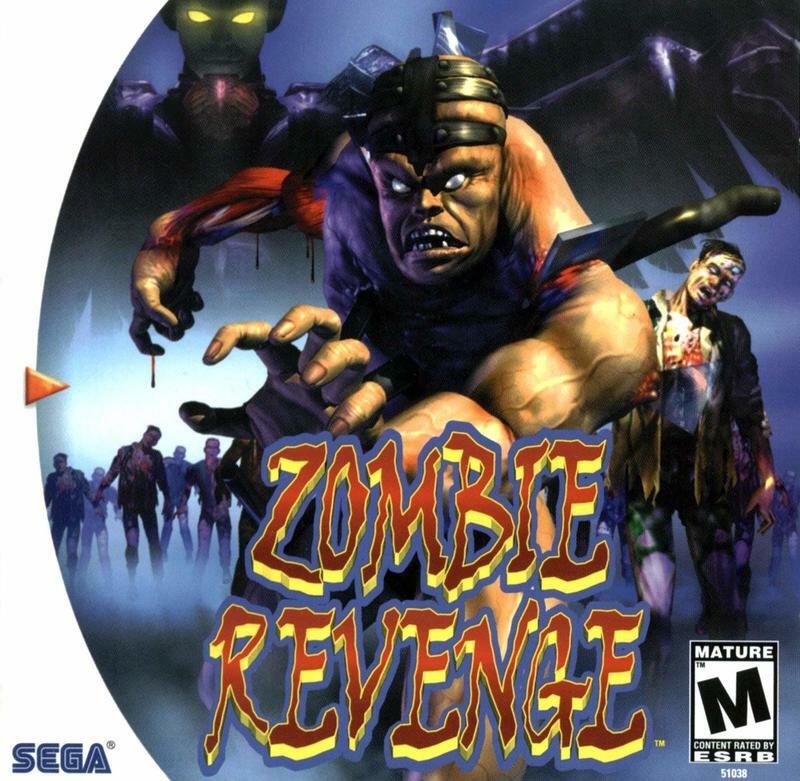 This SEGA Dreamcast game is one of the console’s ultimate peripheral games. 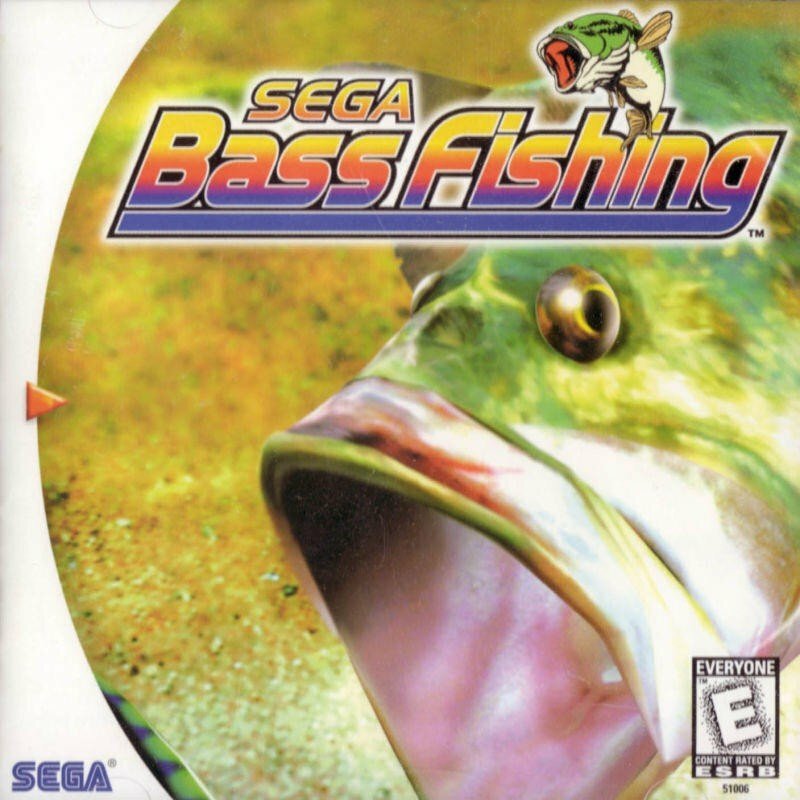 Fun, addictive, strangely atmospheric for a mere fishing game. You’re really going to have to dig to enjoy this one. 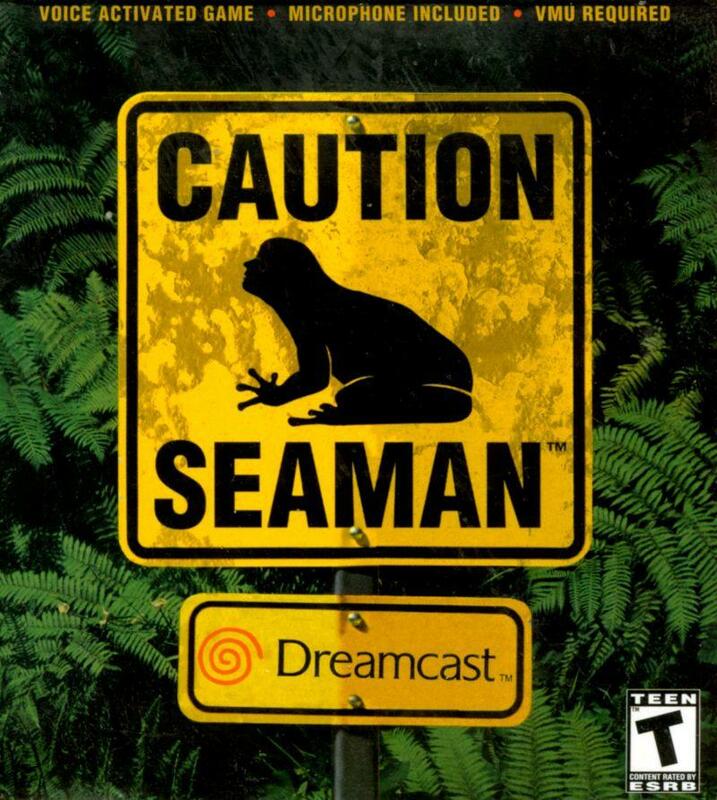 Seaman is a digital pet game that requires the Dreamcast VMU (Visual Memory Unit) and probably less likely in your collection, a Dreamcast microphone. Since modern hardware will easily allow for any microphone to be usable, you have all the easier access to this oddball game. 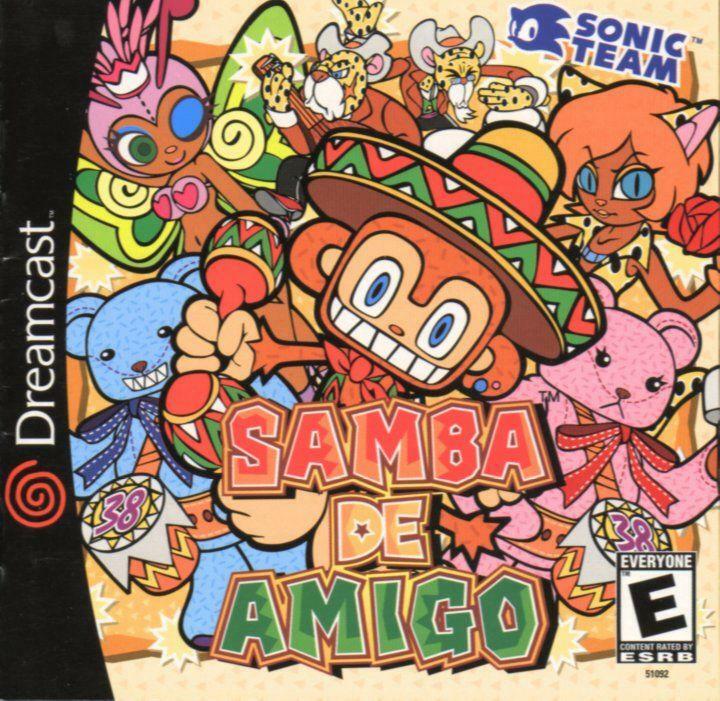 The Dreamcast’s other iconic rhythm game, this one is a bit harder to come by since it requires some exceptionally rare maracas to fully function. Modern options should be available on the market these days, and this goofy game would see a lot more play on the modern market because of it. 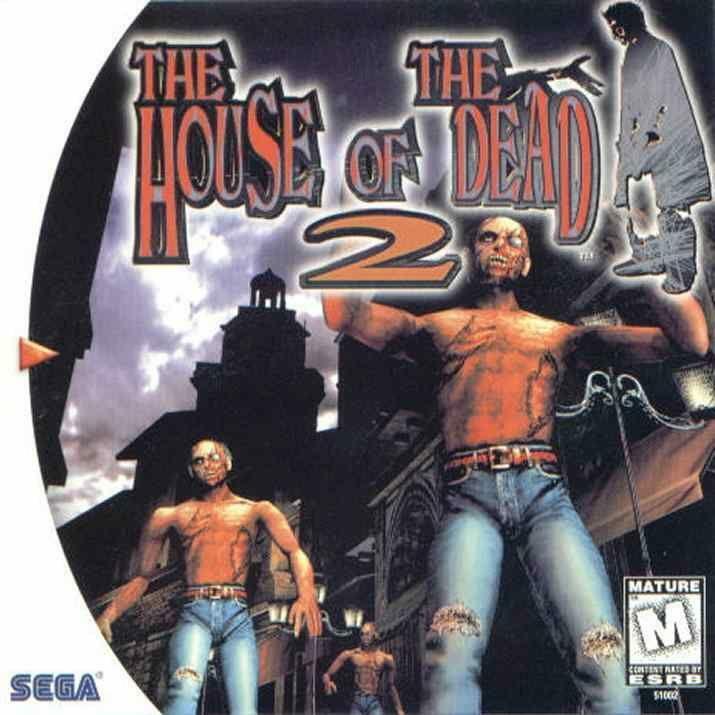 Even more iconic to the Dreamcast library is this inventive restructuring of House of the Dead 2. The main difference? The game requires nothing more than a keyboard to shoot zombies, not a light gun. Something tells me that finding a USB keyboard is much easier than a USB light gun, meaning this game is not only more fun, it’s more accessible. 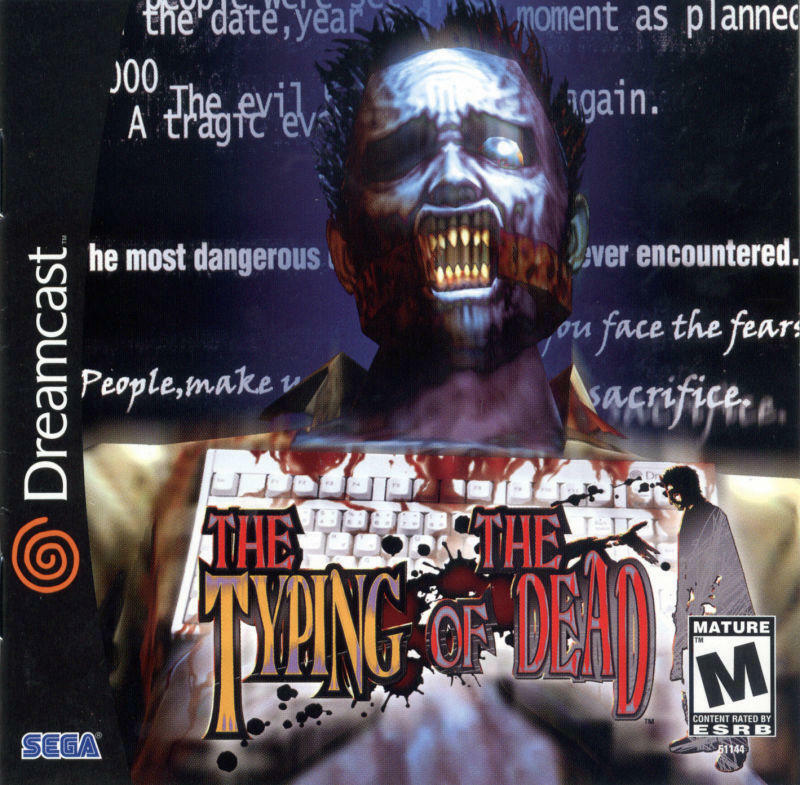 Typing of the Dead is the best educational game of all time, and it teaches typing far better than even Mario could. The ultimate litmus test to SEGA dedication of the mini-Dreamcast. Phantasy Star Online is one of the Dreamcast’s best and most important games, providing both a fun online experience for console players and an early blueprint for every only console RPG since its release. Few games on the Dreamcast have had such lasting effect as Phantasy Star Online, and without it, the emulation console would feel incomplete. And yet, Phantasy Star Online requires more than a mere USB peripheral attachment. It requires online space. Dedicated servers. A modem inside the mini-Dreamcast. None of this is likely to happen, and to an even bigger extent, SEGA would probably have to make its online plan FREE nowadays. Not likely, never, ever going to happen, but we can dream, right? 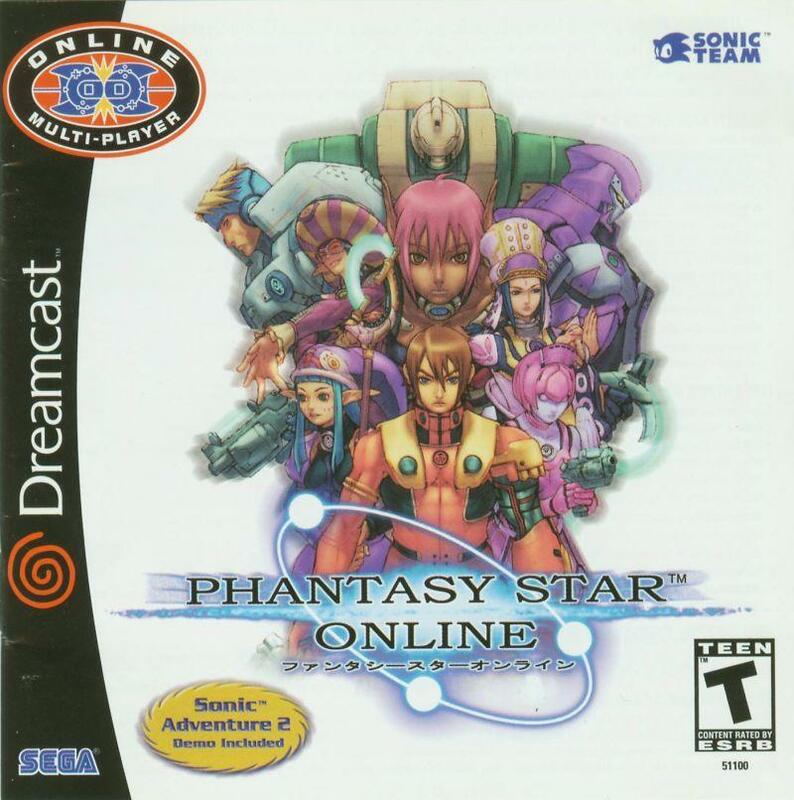 Phantasy Star Online touched so many people during its heyday, and all those who picked up mini-Dreamcast would be heartbroken without it. Since I’m writing, we’ve got just a few fan favorites… and an obligation game to cover down here. Even though I’m typically the JRPG guy around here, the Grandia games have never really done it for me. That wouldn’t stop me from having this game be included though. 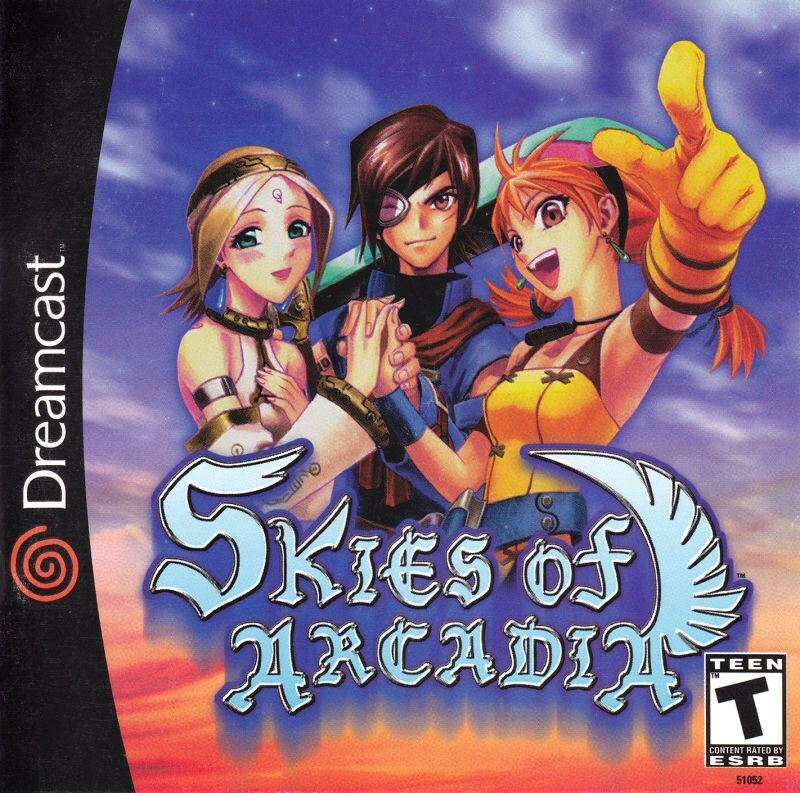 The mini-Dreamcast needs a little more meat than what its barrage of arcade experiences provide, and I don’t think that Skies of Arcadia can carry it alone as the soul JRPG. 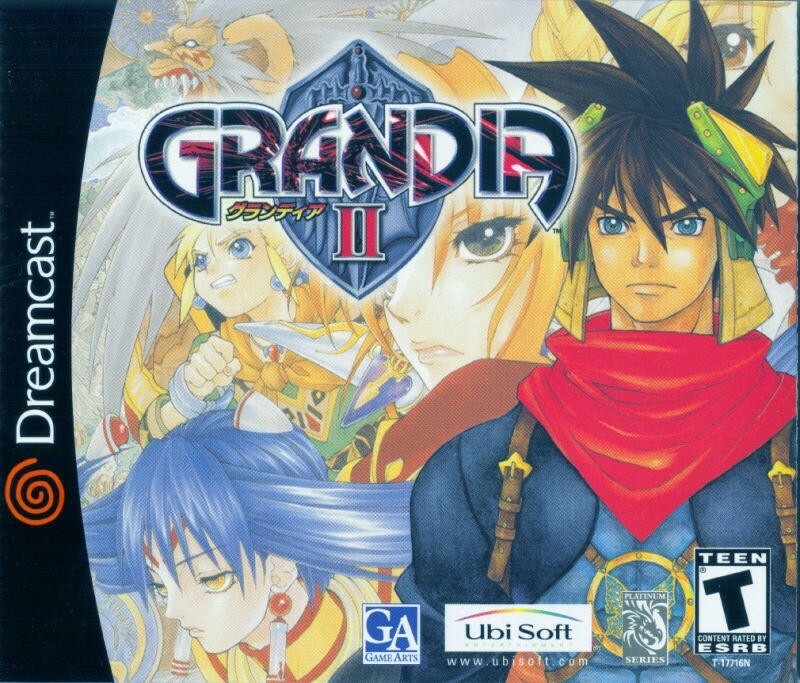 Grandia 2 provides an expansive adventure, colorful characters, and a refined version of the original game’s popular battle system. Who knows? Maybe its inclusion would finally make me a fan! SoulCalibur might have set the standards for graphics on the Dreamcast, but one major problem for PlayStation gamers, like myself, was the lack of a direct comparison. I mean, how much better are they… REALLY? Okay, that’s admittedly silly. SoulCalibur blows away every game on the original PlayStation, but if that question were to ever arise, Soul Reaver is the perfect example of how the Dreamcast made leaps and bounds over the PlayStation. I remember playing Soul Reaver when it first came out on the PlayStation… I hated it. It was ugly, murky, looked like garbage, and ran really slow. And then it came to the Dreamcast… whoa. It flipped my opinions on the game and made me a fan overnight. 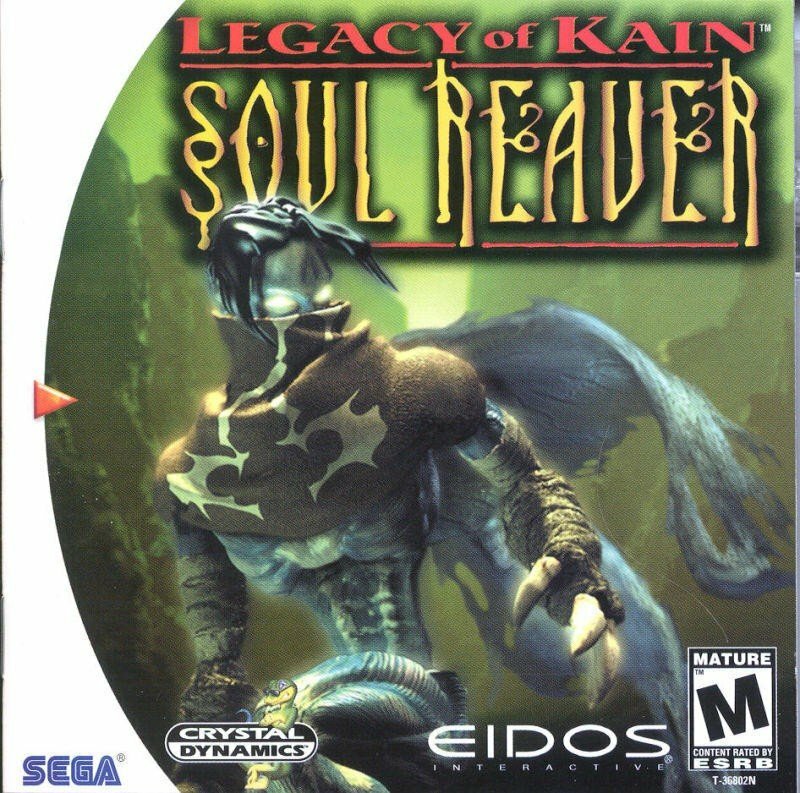 In the pre-Devil May Cry world, Soul Reaver on the Dreamcast reigned as video gaming’s best 3D action game, and it has a solid place in the library’s history. This horrible, horrible game translates into my brain as late night cold pizza, a bottle of beer, and college friends quoting all of the lame dialogue. It’s no Shenmue in that regard, but few games better encapsulate SEGA’s localization style of the era. Other than that, its a goofy action game that started off as a House of the Deadspin-off. Ridiculous in every regard. We’ll call this the Altered Beast of the mini-console… a game that has to come along with it… even if nobody wants it. Nostalgic purposes only. Now… I don’t like this game one bit. It’s the embodiment of everything I came to not like about Sonic the Hedgehog over the years, the beginning of a long, downward slide from Sonic the Hedgehog into “Sonic the Hedgehog and his less interesting, stupid friends.” Ugh… Big the Cat… go away! I do admit that the Sonic levels are pretty good, but as far as I’m concerned, this game only produced one element that requires inclusion. And it also happens to be one of the best things that SEGA has ever produced. HIT IT!